You can now bid goodbye to all your video downloading troubles. We know how you love downloading and saving your videos so that you can watch them at your leisure. But downloading movies, TV serials, documentaries, music videos and other random programs can be a big hassle because you may have to visit individual video hosting websites to find the right videos. Vidmate solves this problem big time. Download and install it now and try it for yourself. Step 6: Enjoy Downloading Videos! Why Vidmate is the ultimate Android video downloading app? Vidmate is a complete video downloading manager. You are never going to need any other video downloading mobile app once you have downloaded and installed Vidmate. A very good thing about Vidmate is that it doesn’t just allow you to download the videos, it also gives you all the features you need to find the right videos, download them in your preferred video file format, and even decide the quality of the video. You can also download just the sound file. You don’t even have to visit the various video hosting websites like YouTube, Dailymotion and Metacafe, because the search is inbuilt within Vidmate. You can use the search box to find the videos that you want to download – movies, TV programs, documentaries, reality shows, songs and whatnot – and then within the search results (within the mobile app) you can download individual videos. You can decide how fast or slow the videos are downloaded. The video downloads automatically stop if there is no Internet connection and then automatically resume when the Internet connection is back. In the “Downloading” section you can view all the videos that are currently downloading – yes, you can download multiple videos at the same time. Then, in the “Downloaded” section you can access all the videos that you have downloaded so far. You can also search within the videos that you have downloaded. All the downloaded videos are saved in your SD card so that you are never going to run out of your mobile space. Vidmate is everything you have ever wanted in a video downloading mobile app. How to download the Vidmate video downloading app and install it on your Android device? Very simple steps. 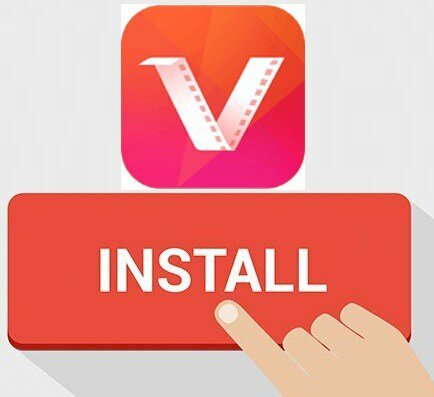 You can directly download the Vidmate.apk installation file. If you haven’t changed the system settings by default the file should be saved in your Downloads folder. Before you can install the file, you will need to make some tweaks in the settings. You will need to enable installation of apps from sources other than Google Play Store. You will need to turn on the setting known as “Unknown sources”. In most of the cases, it is in the Security section of your mobile phone, but each Android device may have its own path to this particular setting. Navigate to the Downloads folder and tap on the file and it should start installing. That’s the only way to install the file. Once it’s installed, you can either visit individual video hosting links or you can use the search box to start finding your favourite videos and downloading them. You’re welcome to write to us if you have some questions. We have also uploaded the FAQs section that should be able to answer all your common questions. 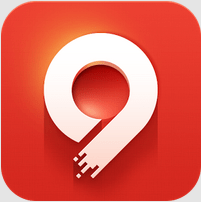 Share your love for our app by mentioning it on Facebook and Instagram. Stay tuned. And yes, download the Vidmate video downloading mobile app right now and open the floodgates of entertainment.